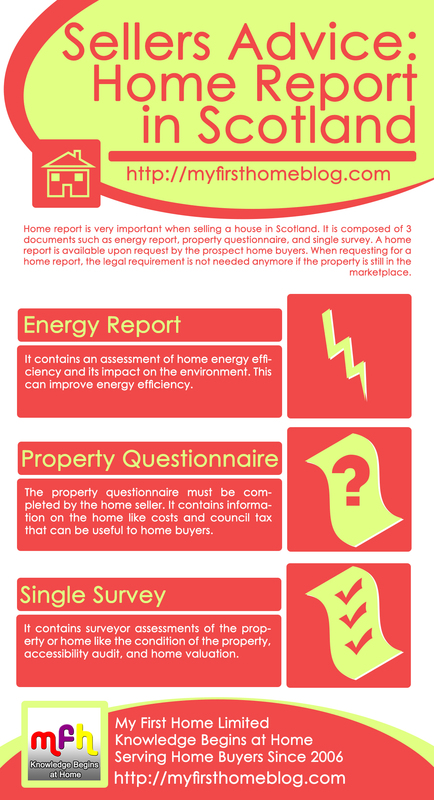 Home report is essential when selling real estate in Scotland. It is actually consists of 3 documents like energy report, property questionnaire, as well as single survey. A home report is available upon request by the prospect home buyers. When requesting for a home report, the legal requirement is not needed anymore if the property is still in the marketplace. The property questionnaire must be completed by the home seller. It contains information on the home like costs and council tax that can be useful to home buyers. It contains surveyor assessments of the property or home like the condition of the property, accessibility audit, and home valuation.